The Braiding the Knoll project happened during a two-year fellowship I completed at Penland School of Crafts in western North Carolina. The project stemmed from an ongoing interest in visualizing human connection to the land, as both beneficiaries of nature's abundance and as agents of destructive development practices. 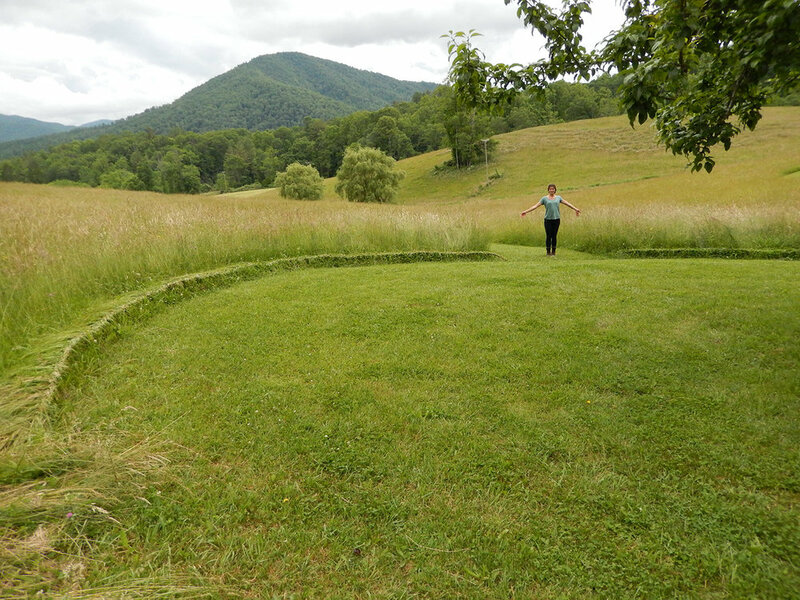 Penland School is located in a remote location in the Blue Ridge Mountains and is adjacent to a large meadow which frames the view of the mountains. Each year the meadow is mown into walking paths which include mown circles for picnicking or reading. I braided the rim of each of these circles over the course of a week. The project became an exercise in observation, in allowing my thoughts to quiet enough to hear the grass rustling under my hands, notice the incredible variety of pattern and color in the field, smell the earth baking in the heat of early summer. 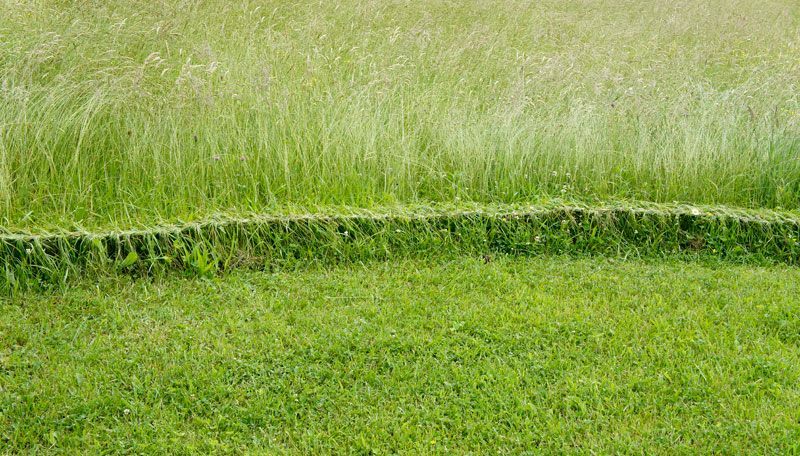 It was satisfying and surprising to see the strength of the grass over time: the braids stayed sturdily intact for over two weeks before they were mown.